CANTON, Mass. 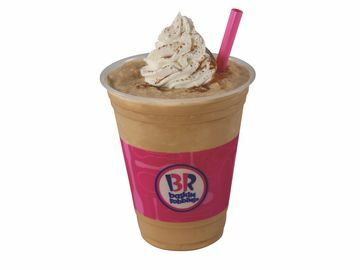 (November 10, 2010) – Baskin-Robbins, the world’s largest chain of ice cream specialty shops, is celebrating the holiday season with a variety of ice cream cakes, including its wildly popular Turkey Cake, designed to complement any holiday feast. Baskin-Robbins’ festive and delicious ice cream cakes are available once a year for a limited time and will make a gorgeous focal point for any dessert table this holiday season. Home chefs often feel pressure to breathe new life into their holiday meals, especially when they have been serving the same menu year after year. Baskin-Robbins encourages holiday hosts to reinvent their dessert tables this year with a new tradition – a delicious Baskin-Robbins ice cream cake. With its sweet glaze and sugar cone turkey legs, this popular Turkey Cake is making a highly anticipated return. In addition, customer favorites such as the Harvest Roll, Turtle Pie and Praline Caramel ice cream cake are perfect for any holiday celebration. The seasonal cakes are ready made and can be picked up in store. Ordering a Turkey Cake or any other customized ice cream cake couldn’t be easier. 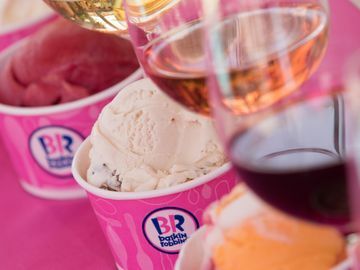 Guests must place an order at their local Baskin-Robbins shop a minimum of 24 hours in advance. 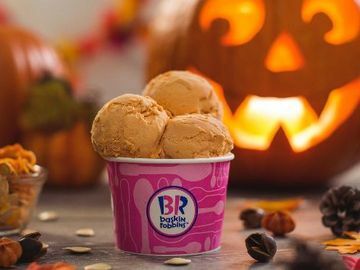 “As a family-focused brand, we understand the importance of bringing people together during the holiday season to celebrate traditions” said Brian O’Mara, Vice President of Marketing for Baskin-Robbins. “We think adding an ice cream cake to your holiday dessert table is a great way to start a new and delicious family tradition. Turkey Cake: Baskin-Robbins signature, classic all-ice cream cake shaped like a turkey will be the center piece of the dessert table. Choose the ice cream flavor glaze in chocolate/caramel and enjoy the sugar cone turkey legs. Serves 12-to-16 for a suggested retail price of $31.99*. Harvest Roll Cake: Fudge frosted roll cake, finished with a seasonal decoration of leaves and pumpkins. 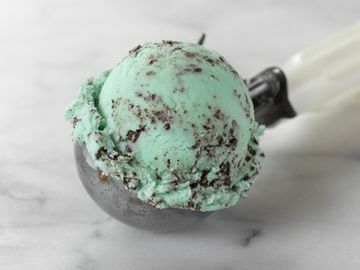 Designs can be customized with seasonal ice cream favorites. Serves 6-to-8 for a suggested retail price of $19.99*. Turtle Pie: A classic holiday dessert served with Pralines ‘n Cream ice cream on a chocolate pie crust covered in a caramel glaze and finished with pecans and a fudge border. Serves 6-to-8 for a suggested retail price of $19.99*. Praline Caramel Ice Cream Cake: A fully decorated 9-inch round Devil’s Food cake in between layers of Vanilla and Pralines ‘n Cream ice creams frosted with whipped topping, garnished with a caramel glaze. Serves up to 16 guests for a suggested retail price of $29.99*. To learn more about Baskin-Robbins ice cream cakes as well as flavor combinations and innovations, consumers can visit the Baskin-Robbins Facebook page at www.facebook.com/BaskinRobbins or follow Baskin-Robbins on Twitter at www.twitter.com/BaskinRobbins. 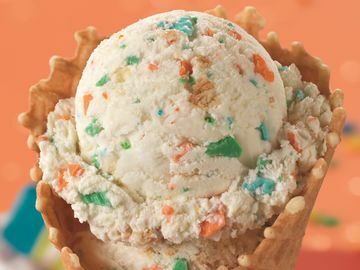 To enter the Baskin-Robbins Flavor Contest to create a personal favorite flavor combination, visit www.baskinrobbins.com/flavorcreator.